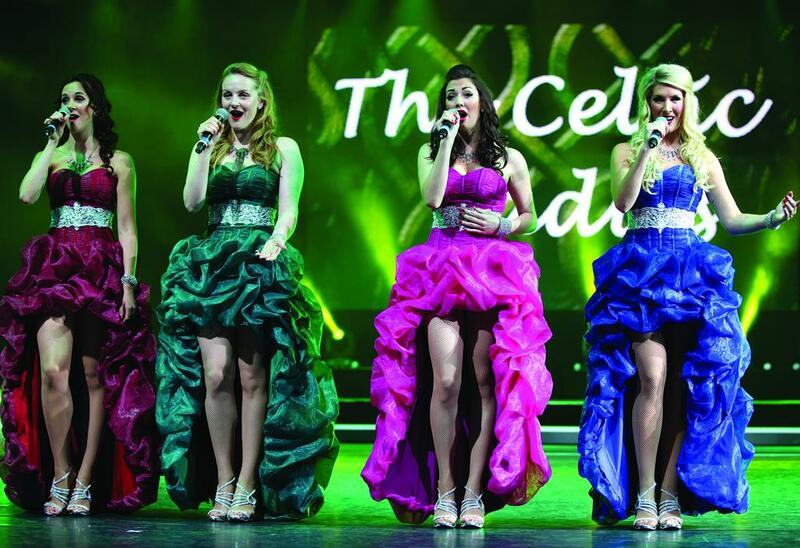 Irish music, singing, and dancing is brought to life as the Dublin Irish Tenors and Celtic Ladies deliver a show-stopping stage production LIVE in Branson! "This is truly an amazing show. We enjoyed it immensely!" "We saw 10 shows in 2 weeks. The Twelve Irish Tenors rank No. 1." 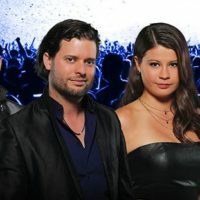 "My wife and I enjoyed the show from beginning to end. The singing was magnificent." Your Favorite Irish & Pop Songs! 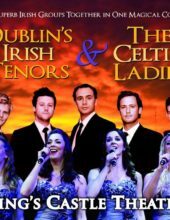 Dublin’s Irish Tenors & The Celtic Ladies! 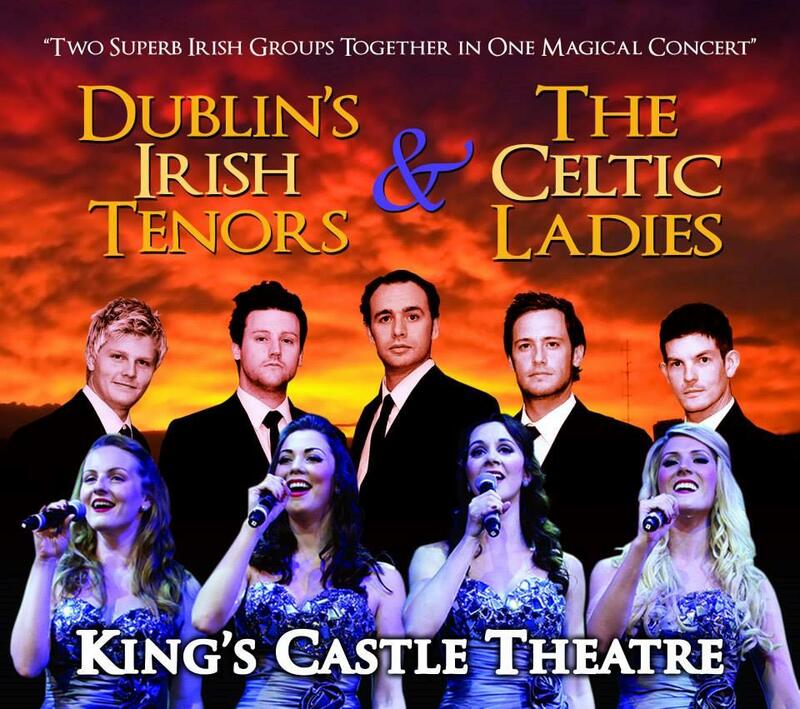 Booking tip: Dublin’s Irish Tenors & The Celtic Ladies is very popular, advance reservations are recommended! Irish Singing, Dancing, Music, & More! A brand new show that combines the best in traditional Irish music with the contemporary songs from today, Dublin’s Irish Tenors & The Celtic Ladies bring a whole new level of production to the Branson live entertainment lineup! 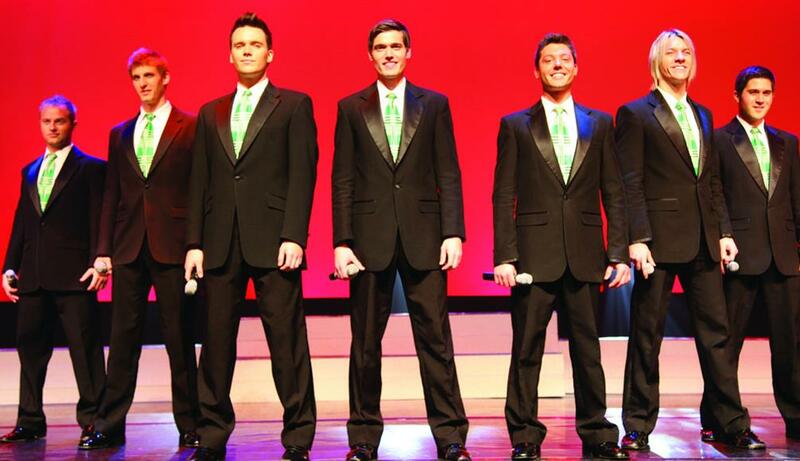 Making a transition to a new format and lineup, the show (formerly known as the Twelve Irish Tenors) will have you singing along to some of the classic songs and enjoying every minute that goes by! 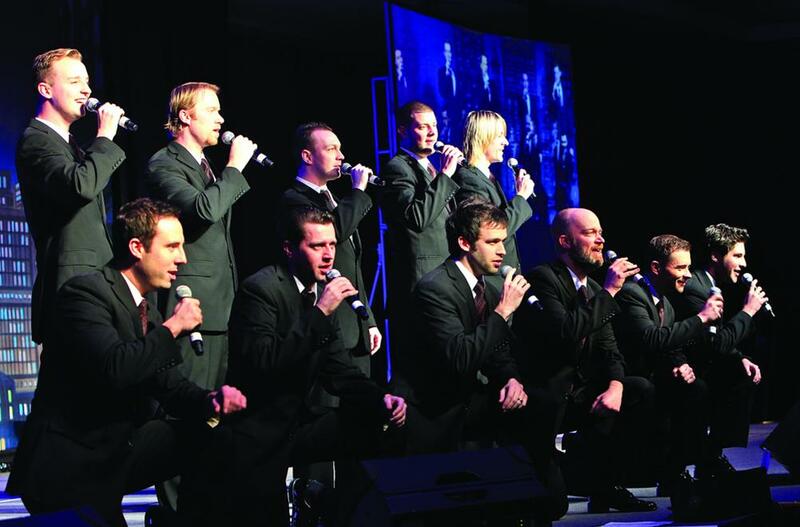 With the new cast and crew, which features a handful of Irish Tenors and the addition of several female vocalists – it’s one of the highlights that will be making its debut in the Branson area for the new season. The crew has been hand-selected for their remarkable talents and stage presence to provide an authentic and entertaining two-hour show! Standard Classics & Modern Hits! While the central focus of the show is to entertain with songs and music from Ireland, it also features a various assortment of styles from jazz to pop to rock ‘n roll! From Traditional to Contemporary Music! 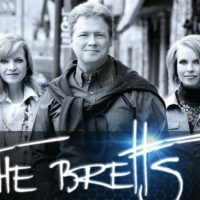 Returning to their roots, these guys bring their Celtic music and songs to the Midwest in one of the area’s most-loved, live shows! 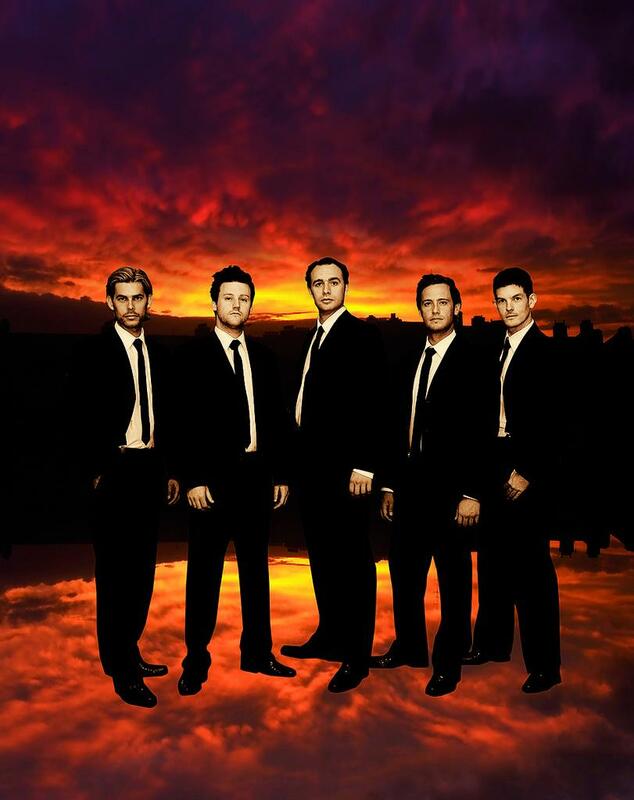 Performing one of the most musically diverse acts that you will see on any stage, the twelve tenors will entertain and delight you with music that spans genres from around the world and eras throughout history! Just a few of the songs you will hear each show include: “Danny Boy,” “Hey Jude,” “Rolling in the Deep,” and Nessun Dorm – all of which will leave you wanting more by the time the curtain goes down. From Opera and Classical to Jazz and Pop! While your journey will take you on an exploration of some of the most famous modern and traditional Irish tunes throughout history, the show also features some of the biggest hits from rock ‘n roll to opera and classical music – it highlights of some of the best songs to have come out of the last one hundred years! Much more than just singing, the show infuses singing, dancing, costumes, and staging to create a production that is second-to-none! The 5 men will display their vocal abilities that have gained them worldwide recognition as one of the finest group of Irish Tenors in the world, while the 4 Celtic ladies will serenade you with their beautiful harmonies. My wife and I enjoyed the show from beginning to end. The singing was magnificent. They all seemed to enjoy being with each other. The final song, Danny Boy, was acappella and worth the price of admission by itself. We enjoyed the CD we bought and now wish we had bought the other one. 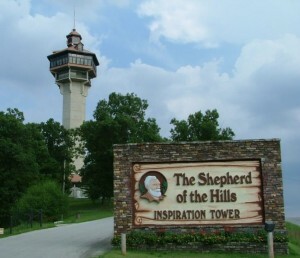 This was our first time to visit Branson. We saw 10 shows in 2 weeks. The Twelve Irish Tenors rank No. 1. Their music was spectacular, with a great variety of music. Show tunes, opera, inspirational and fun. This is truly an amazing show. We enjoyed it immensely! We plan to take visitors to see it too, as we know anyone would enjoy it. 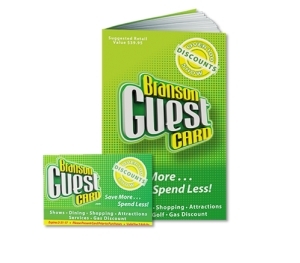 I traveled with a group of women from St. Louis,Mo( I live in Minnesota) each year to Branson. We always seem to see a show that is so full of energy and fun. This year the show that I give 5 stars to is The Irish Tenors and Celtic Women! This is a show full of wonderful songs and dancing. I particularly give credit to Jay Mc Manus for his spectacular dancing and singing. I left this show feeling so much joy and happiness! Thanks to all the performers for putting on a great show! Being a retired dancer, I realize the time, energy, and effort that you put in to make this show such a hit!